Promotional item. Also known as Razorfang Poison. Steam Cloud is enabled, but not used by the game. Character data is stored on developers servers. 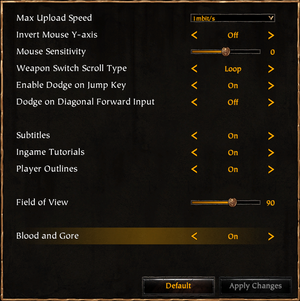 In-game graphics settings. 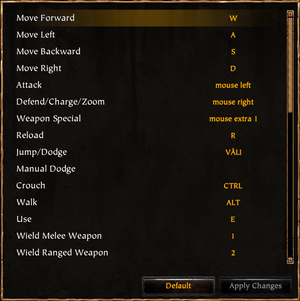 Every option has an tooltip describing what it does and what it requires from the system. 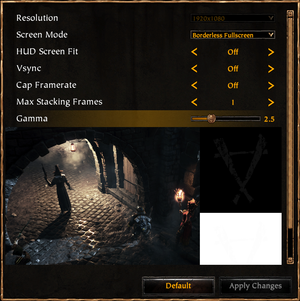 Set HUD Screen Fit to Off for correctly centered HUD. 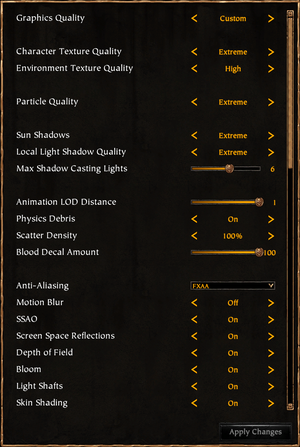 Set HUD Screen Fit to On for correctly spanned HUD. 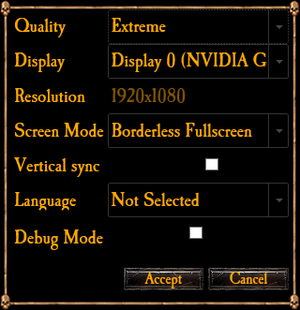 Set HUD Screen Fit to On. 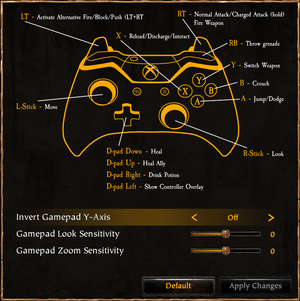 Uses vertical FOV values. 45-120. Optional frame rate cap with values of 30, 60, 90 and 120 FPS. Launcher requires mouse, but can be bypassed when launching the game through Steam. 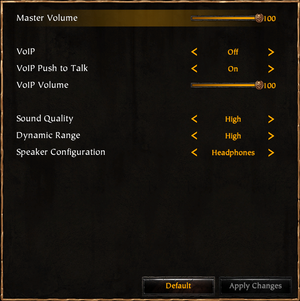 Master and VoIP volume only. Executable is 32 bit but can't run on a 32 bit OS because of the minimum RAM requirement. 32-bit OS is not officially supported. A 64-bit system is required. ↑ 1.0 1.1 File/folder structure within this directory reflects the path(s) listed for Windows and/or Steam game data (use Wine regedit to access Windows registry paths). Games with Steam Cloud support may store data in ~/.steam/steam/userdata/<user-id>/235540/ in addition to or instead of this directory. The app ID (235540) may differ in some cases. Treat backslashes as forward slashes. See the glossary page for details. 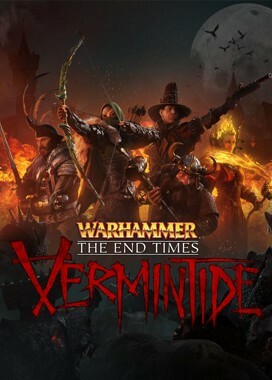 ↑ Play Warhammer: End Times - Vermintide with Tobii Eye Tracking!